I want to get one thing out of the way up top: This set is just downright cool. 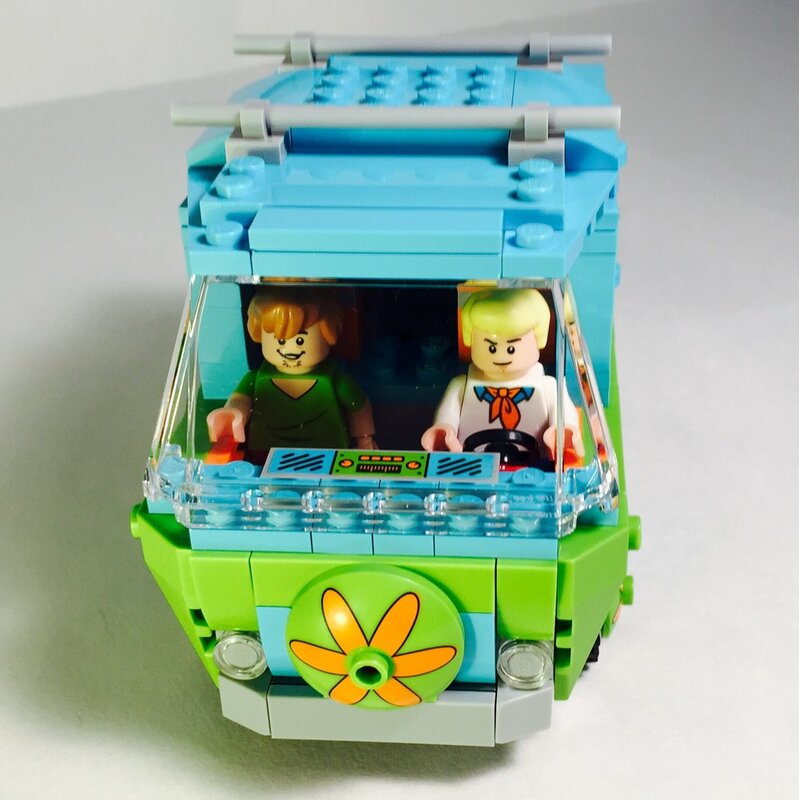 Whether you’re a fan of Scooby Doo or just enjoy LEGO vehicles, the cool factor is high with this one. 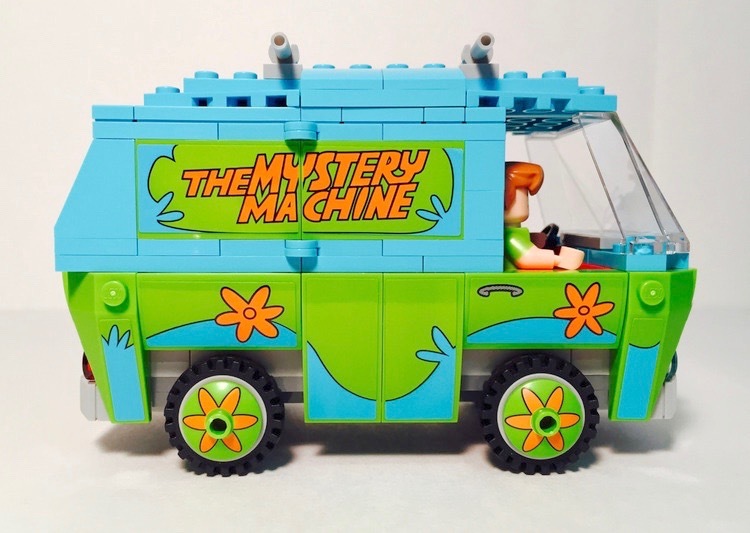 You have Scooby, Shaggy, Fred [the one set of the theme which includes Fred], a creepy zombie, a dangerous tree, and - in all its glorious bright Mystery Inc. colors - The Mystery Machine. 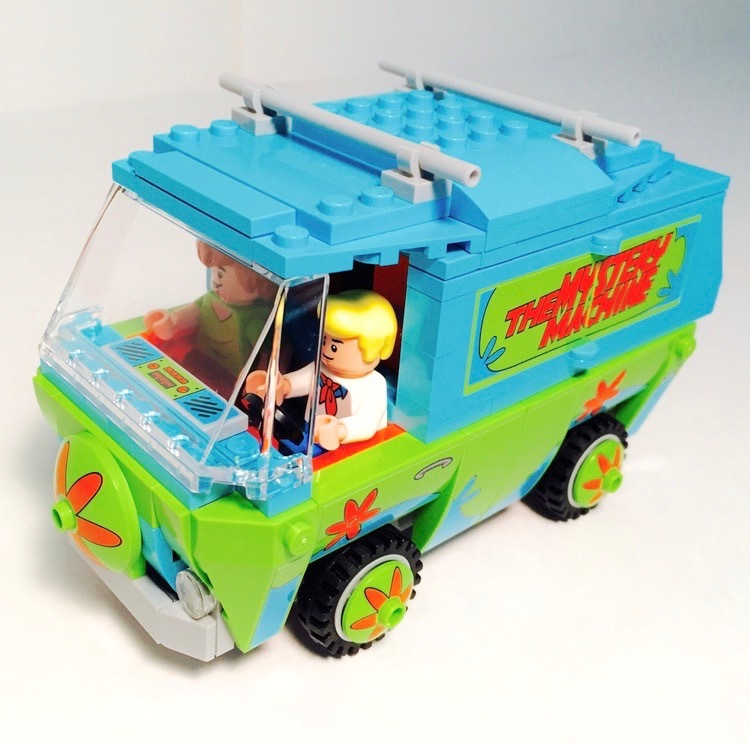 This LEGO version of the iconic vehicle from the Scooby Doo franchise is a fun build, a sturdy vehicle for play, and a very cool set to display. 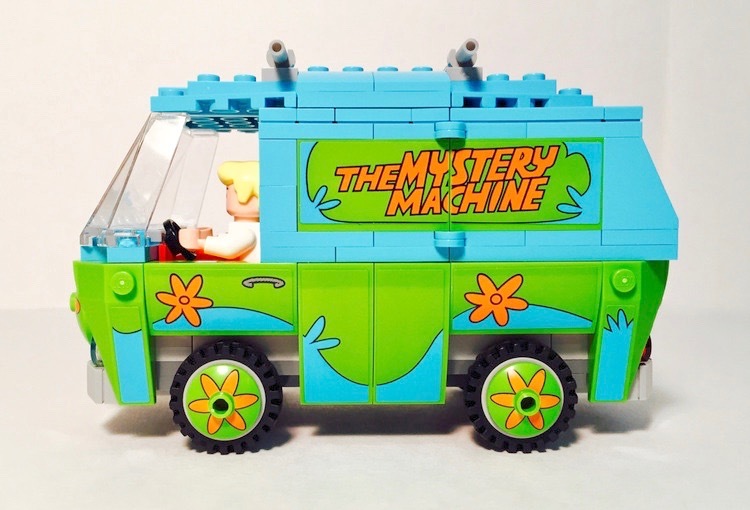 The first thing I noticed while building The Mystery Machine is how sturdy the build is. Once complete, the vehicle is strong enough to endure hours of heavy play and is highly vroom-able. 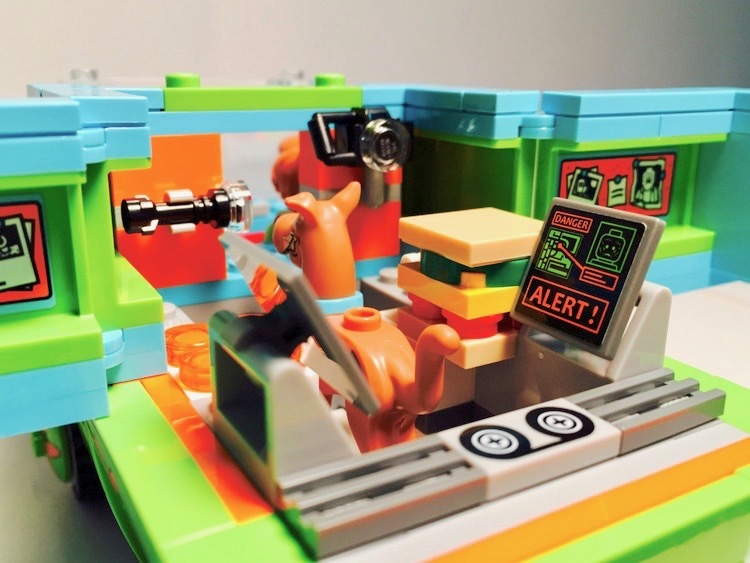 It’s also incredibly fun to build the interior of the van. 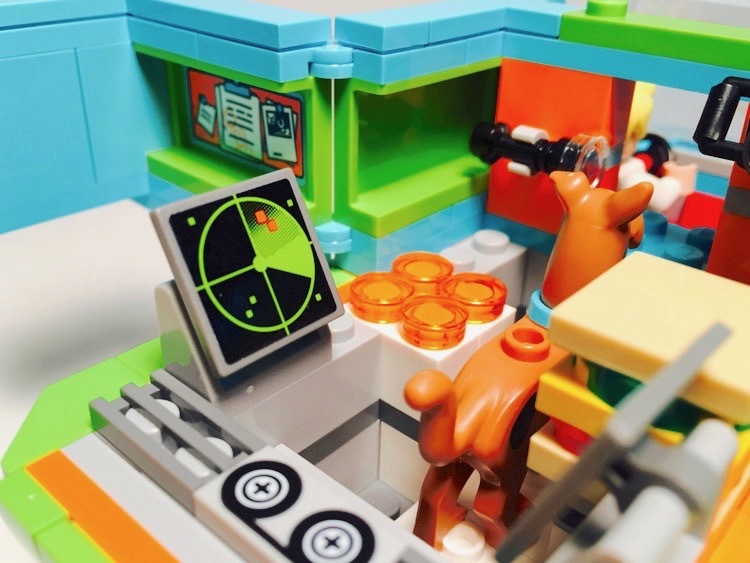 LEGO includes a lot of fun details to the interior, such as a sink, a large sandwich, a stove, a minifig flashlight and camera, an analog sound-capturing device, two computer monitors, all of which add a great deal to the set’s play and display value. In addition to The Mystery Machine, you also receive a comically eerie zombie [otherwise known as Zeke] and a spooky tree. I consider their inclusion a great bonus but not a necessity. 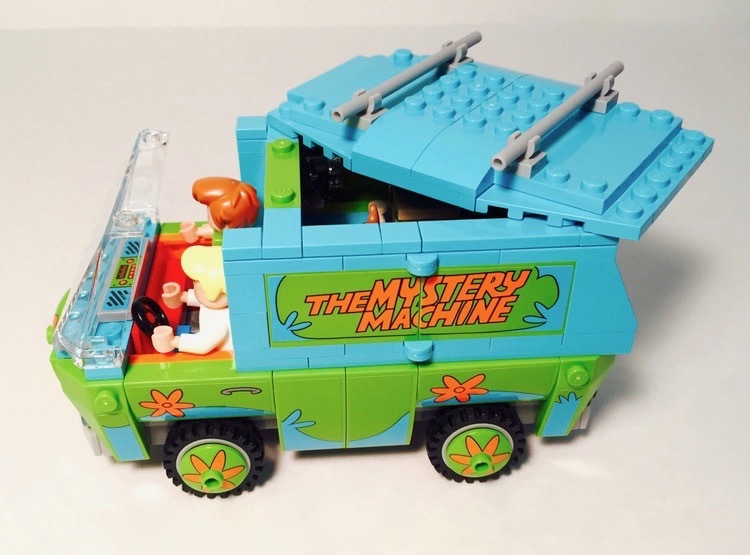 It’s always great to receive an antagonist in a LEGO set which is based on good vs. evil narratives, such as Scooby-Doo, but the Mystery Machine and Mystery Inc. minifigs are so great you almost forget about them, once you’ve assembled the iconic vehicle. That being said, I’m very grateful for their inclusion, as they only enhance both the play and display value of the set as a whole. There is one negative element to this set: the large amount of stickers. The majority of the graphics of this set rely solely on stickers. For instance, all of the graphics on the outside of the Mystery Machine [save the hubcaps and the front or hood cylinder] are all stickers. In order to ensure that the graphics line up and look just like the cartoon vehicle we all know and love, you have to very carefully apply each sticker in such a way that it lines up with the previous sticker you applied. If the stickers aren’t applied carefully, the graphics on the sides of the van won’t look right. This can make for some nerve-racking moments during the initial build. Obviously, you want the end result to look great which requires a bit of patience while applying all of the included stickers. 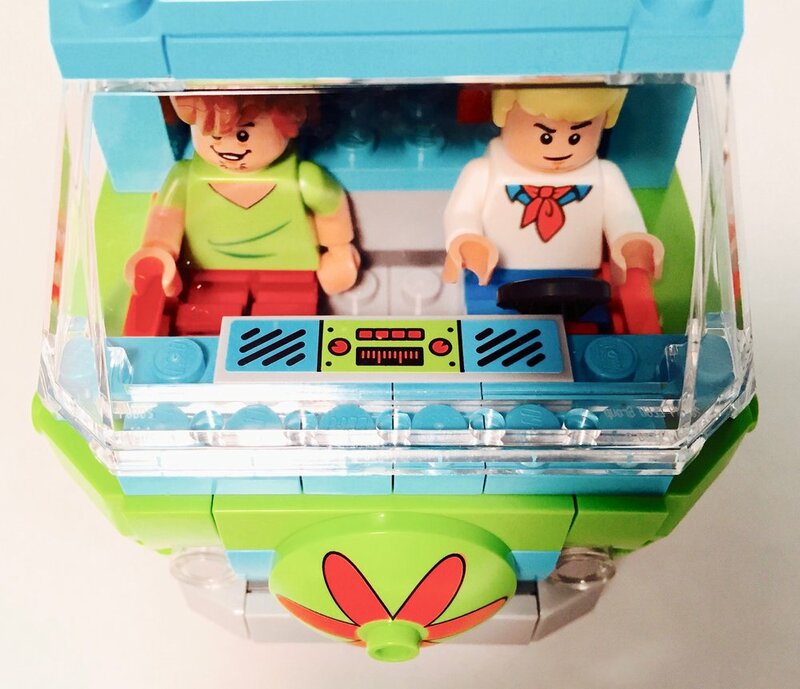 The top of the van [which is a separate build] easily detaches to reveal all of the fantastic interior details of the Mystery Machine. 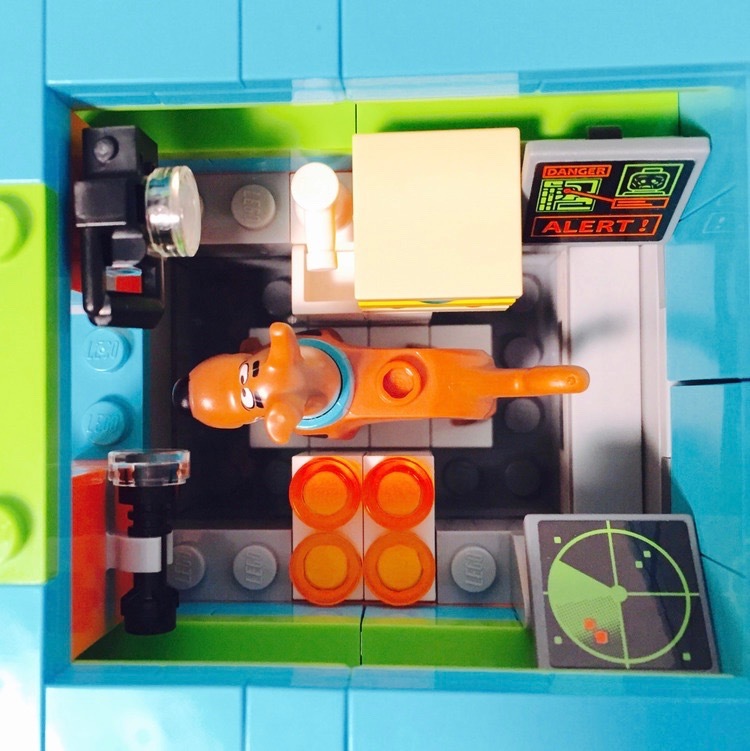 The sides of the van are also hinged to allow them the ability to open on each side, allowing for more room to create playful scenarios with your minifigs. The arms of the spooky tree are applied via ball joints which allow the arms of the tree a wide variety of posses, making it easier for the tree to nab a member of the Mystery Inc. gang. 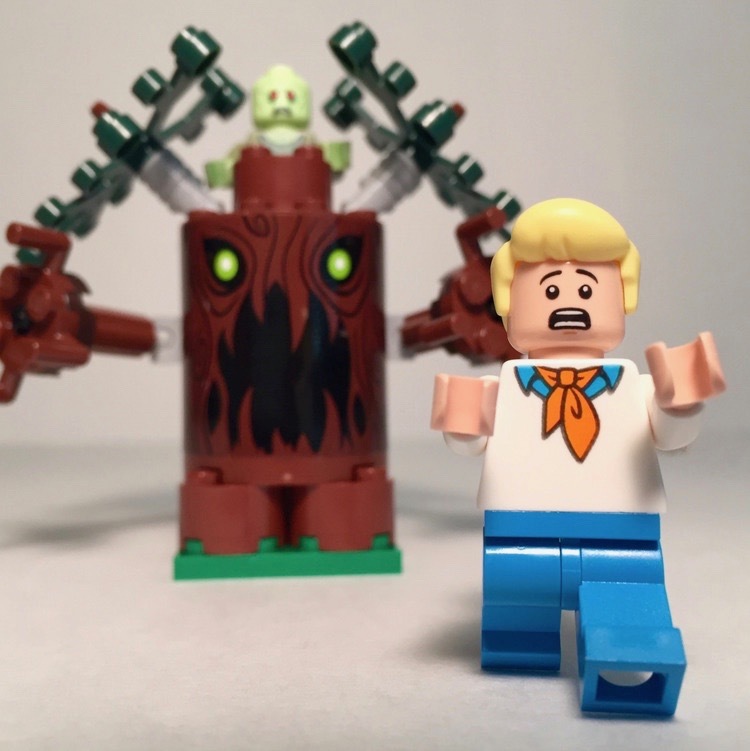 The set includes a total of 3 minifigs, including Fred [again, the only set in the theme to include Fred], Shaggy, Scooby-Doo [in standing position], and the Zombie/Zeke character from the episode titled “Which Witch Is Witch?” which aired during the first season of Scooby-Doo, Where Are You! on September 13, 1969. The minifigs included in this set are fantastic. 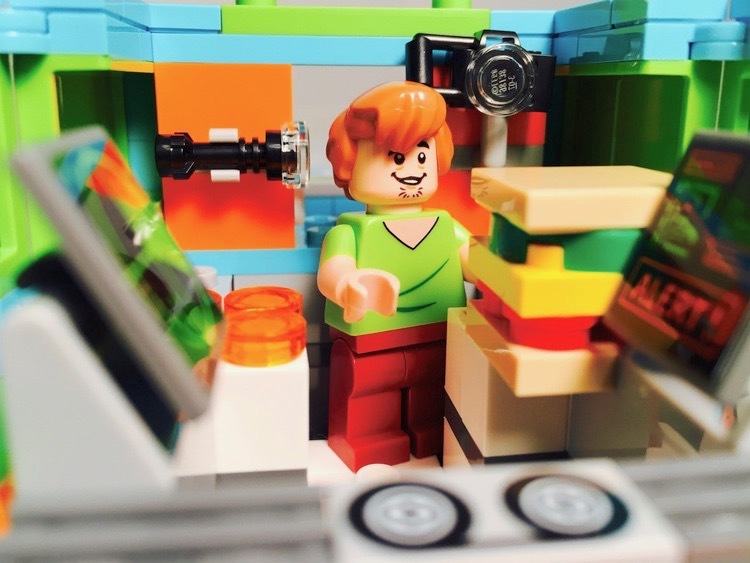 I really like the minifig we get for Fred in this set. 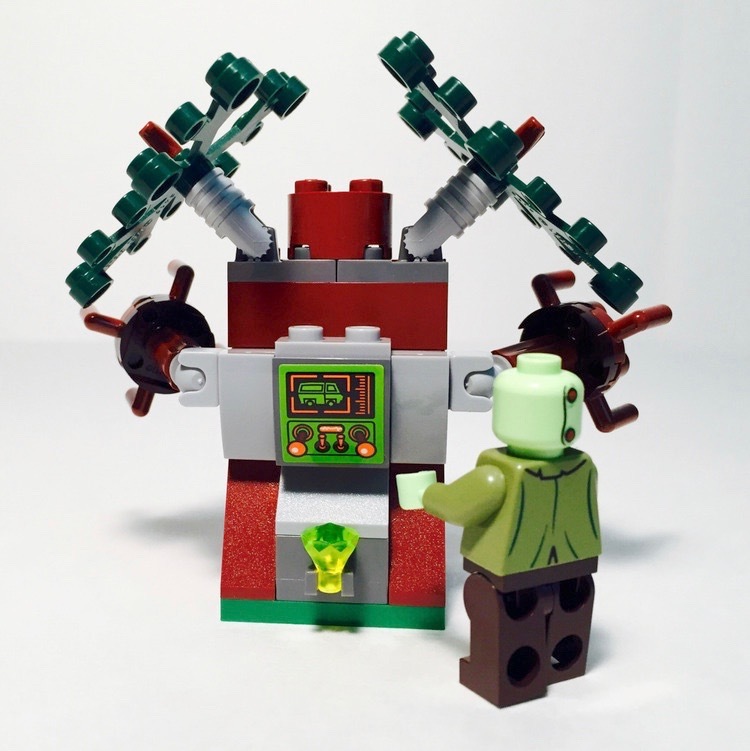 The only complaint is that we don’t get a second face or a “Zeke” face for the zombie minifig. The back of the zombie’s head does show a clasping mechanism, showing us that the zombie is not all that meets the eye. Still, it would have been nice to receive a face which reveals the zombie’s true identity, just as we have for all of the other Scooby-Doo! sets. Let me just say it again: this set is cool. 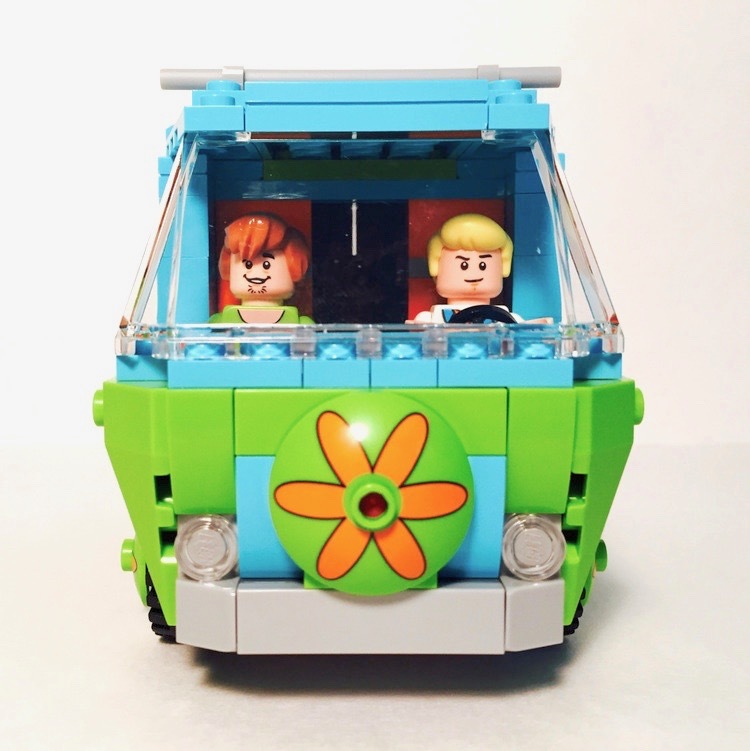 The LEGO version of the iconic cartoon Mystery Inc. gang vehicle is a great addition to any LEGO collection. 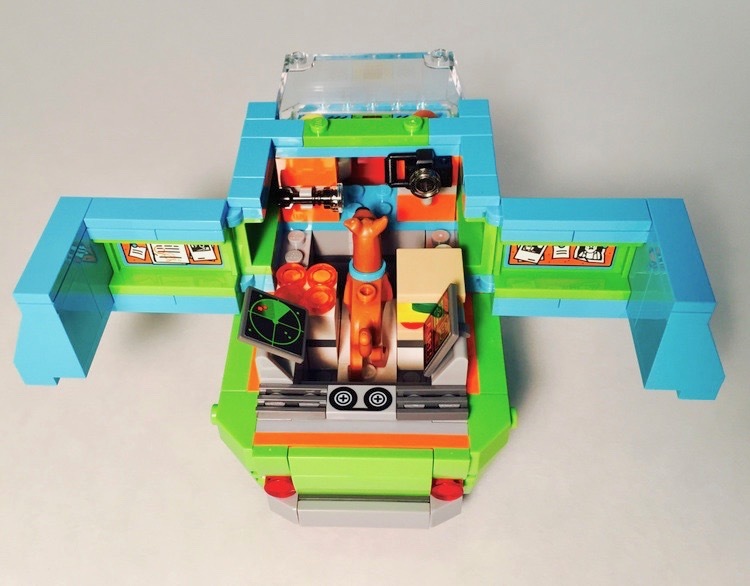 Whether you’re a fan of Scooby-Doo, looking for a fun set with high play-value for your kids, or looking for a sleek, pop-culture-inspired set to display on your shelf, this set is where it’s at.